The Get Connected Watford Business Show is a large business shows in the region, attracting hundreds of business people from Watford, Hertfordshire, Buckinghamshire, Bedfordshire & North London. 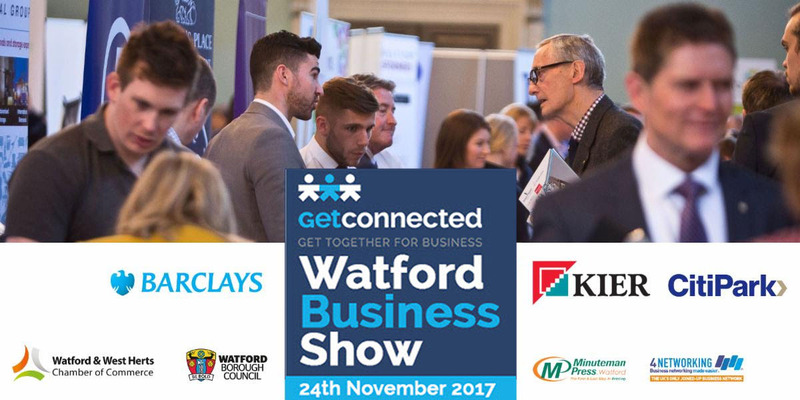 The Watford Business Show 2017 brings together many types of business from the region, showcasing a wide selection of businesses, both business to business and business to consumer, who want to raise their profile in the regional business community. Any business type can exhibit, and for more general information about who and why local and regional businesses exhibit at a regional business expo please view this page. The Watford Business Show also provides brilliant expert Seminars and organised networking events. The venue for both Expos is easy to reach, with large public car parking nearby. There is the Networking Café with free coffee & tea provided for visitors all day (Sponsored by Watford Borough Council), as well as a free lunch with sandwich buffet from 12.30pm to 1.30pm. Crane lifts in New Fridge cabinets. PPS Excellent value Stands are available at the great value Early Bird price to help get your business noticed, see this page for details. We welcome your contact for website design, photographer hire, or IT engineer.